However, because public schools with unique learning models often attract both low-income and middle-class families, some social justice activists worry that as systems of choice with a variety of learning models continue to grow, low-income students will lose out to more affluent students whose parents have the time and “know how” to access information about, and navigate enrollment processes for, the best schools. Indeed, much of the conversation around the equity of public school choice centers on whether low-income families are as well-equipped as their middle-class counterparts to take advantage of the educational opportunities made available by these systems. The recent proliferation in public Montessori schools illustrates the Catch-22 of choice systems. Because Montessori programs are often associated with progressive suburbanites and well-to-do private schools, many people don’t know that Dr. Maria Montessori originally developed her pedagogical approach while running a school for some of the poorest children in Rome. Unfortunately, with the exception of some Montessori magnet schools created as part of desegregation initiatives of the 1960s and 1970s, the Montessori model has been largely relegated to the arena of private schools since it arrived in the United States over 100 years ago. Throughout the last 25 years, however, the spread of public school choice and charter schools has led to a rapid growth in the number of public Montessori schools, thereby allowing the model to return to its roots of educating low-income students. Without public school choice, low-income children in the U.S. couldn’t access the Montessori model, but because the model has also proven popular with middle-class families, they now find themselves competing against their more affluent counterparts for seats at open-enrollment public schools. I researched the enrollment processes at approximately 300 public Montessori schools — both district-run and charter schools, using a data-set developed by Yale University’s Dr. Mira Debs, who researches public Montessori programs. Almost 100 percent are schools of choice that use a lottery system to determine which students get in. Most of the district-run schools are part of magnet choice programs where students who will otherwise be assigned to neighborhood schools have the option to apply for magnet schools that have specialized learning models and enroll students from across the district, regardless of where they live. Few districts have universal enrollment. In districts with universal enrollment like Washington D.C., Denver, and New Orleans, parents fill out one application that encompasses all district-operated and charter schools as part of a district-wide lottery system. Families rank their top school choices, and an algorithm matches students with available seats. Many Montessori magnet schools benefit from being part of a magnet system in which parents could similarly fill out one application for multiple magnet schools. Applications for charters in districts without a universal enrollment system usually have to be mailed or emailed directly to each individual school. Low-income parents with less “know-how” and free time aren’t as likely to complete multiple applications as affluent parents. Other barriers to enrollment also exist at public Montessoris — both district and charter — especially for schools located in a district without a universal enrollment procedure. In these districts, some schools state that parents must take a tour prior to applying. Other schools specify that parents must hand-deliver, rather than mail, the application. 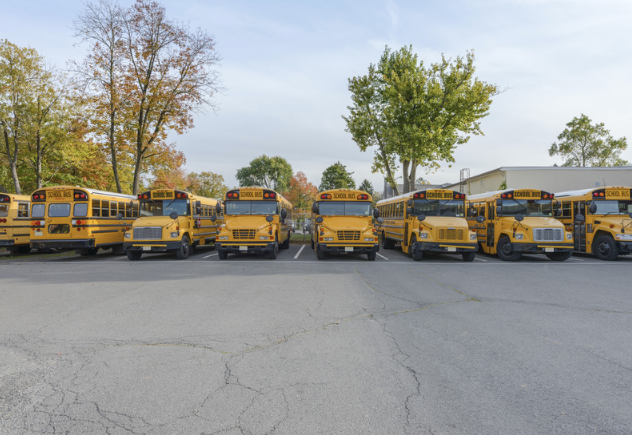 Many schools couldn’t provide transportation for students. These regulations often conflict with the day-to-day realities of low-income households. What I found most disconcerting, however, is that for a handful of the Montessori schools that I researched, I could not find how to apply. And for about 10 percent, I spent over seven minutes looking at either the school or district website before I found either the application or the enrollment steps. This does not include the time it took me to read through enrollment packets or enrollment preferences, which include a combination of priority preferences for siblings of current students, children of school employees, district employees, or active military, and children who live near the school, among others. I research and write about schools for a living. If I have difficulty finding the enrollment process for a school online, then I assume it must be even more difficult for parents with lower education levels, less free time, limited access to technology, and language differences. For those who don’t understand the seriousness of this problem, here’s a thought to consider: Ultimately, if I couldn’t find the enrollment steps online after researching and calling a school, I labeled its enrollment process as “unavailable” and moved on to the next school on my list. I gave up because I am in the privileged position to do so. Parents, for whom a public school of choice is their only means of preventing their children from being assigned to a chronically failing school, do not have that luxury. Perfecting systems takes time. When an education reform like public school choice has had profound and positive impact on the lives of disadvantaged children, cities shouldn’t throw away the progress they’ve made just because new and different challenges have come along with it. Systems of choice need to iron out these accessibility wrinkles, and districts with universal enrollment are working on their dirty laundry. For instance, New Orleans Public Schools requires that all schools provide transportation for students, and it has counseling centers where parents can learn about the choices available, access language services, and receive help with their application. Educational leaders need to listen to the needs of the community and tweak choice systems so that they keep improving by increasing both school quality and equity of access. Overall, systems of choice help to increase educational equity, but leaders of these systems need to do everything they can to make it as easy as possible for parents to find out information about applying to schools. And they should reserve a certain percentage of seats at choice schools for their most disadvantaged students, as San Antonio Independent School District does for many of its choice schools. I think it’s great that school choice and the unique school models that come along with it are attracting middle-class families back to public schools, but I also think that public schools of choice need to be sure they’re reaching the children who need them the most, the ones who can’t afford to move to a better neighborhood or enroll in private school should they not win the lottery for their first choice school. And, considering for whom she originally designed her program, I like to think that Dr. Montessori would agree with me.